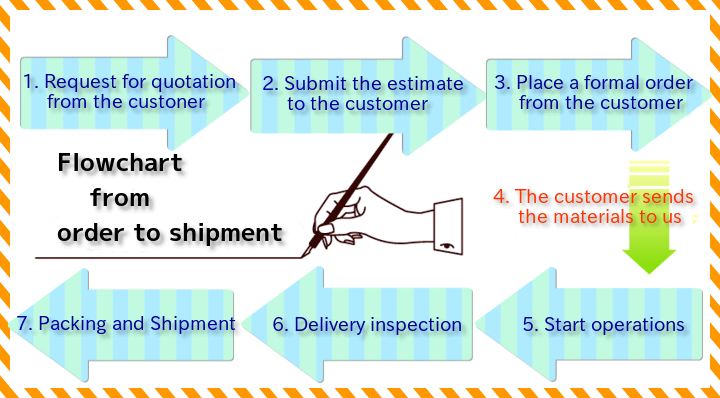 Basically, we will send products with the bill enclosed, and payment is due to upon receipt of invoice by the end of the month. 1-1. Rack treatment: The minimum size is 5mm x 5mm and the maximum size is 600mm x 600mm. 1-3. Barrel treatment: The minimum size is 0.5mm x 0.5mm x T 0.1mm and the maximum size is 50mm x 1.5mm x T 1mm. 2. The parts must have a hole for hanging them. 3. Gold plating and palladium plating need to estimate separately. 4. As the above list is for reference only, please ask for details. 1. As for the goods that require machining accuracy, they need to estimate separately. 2. The minimum size is µ0.5 and the maximum size is µ32. ;Additionally, the minimum length is 0.5mm and the maximum length is 300mm. 3. As for a particular material not provided in the above list, please contact us because it takes a long time to machine it.